Temporarily out of stock. These will be restocked in coming weeks as soon as the supplier receives more. 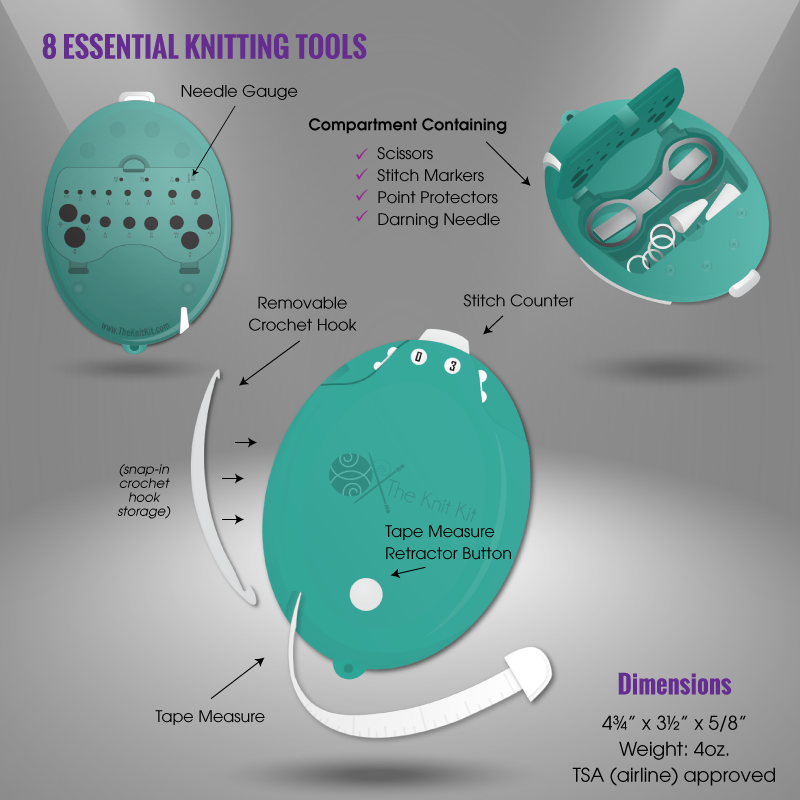 The Knit Kit is equipped with the nine most essential knitting accessories needed to accompany a set of needles and yarn in your project bag. 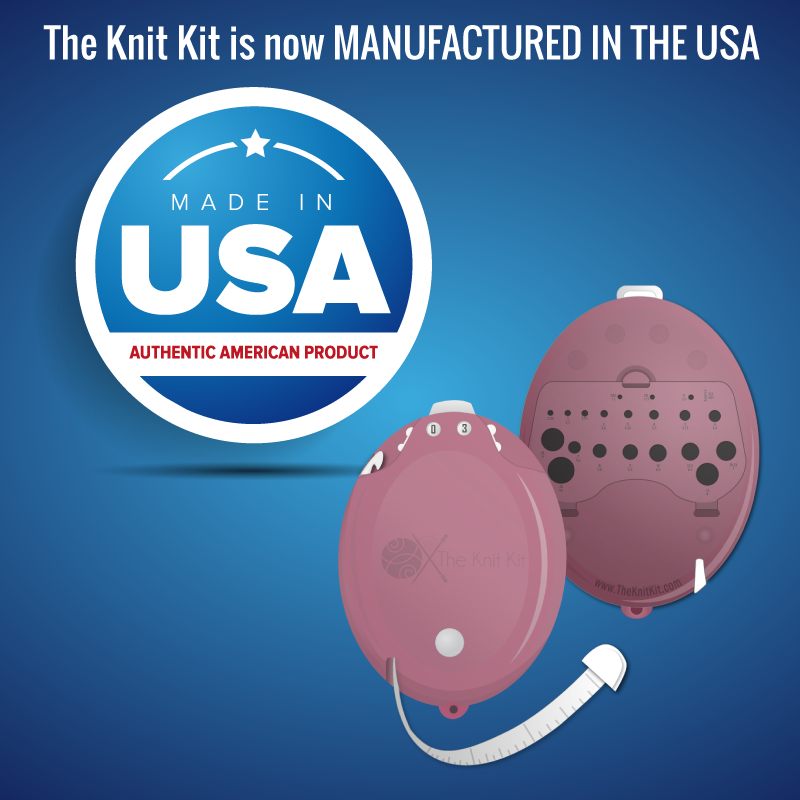 The front of The Knit Kit contains a durable row counter and a smooth retracting 5-foot tape measure. The left side of The Knit Kit has a fully removable crochet hook for picking up that dropped stitch or weaving in an end. The right side holds a thread cutter. The back compartment of The Knit Kit nicely houses sturdy, TSA Compliant, collapsible scissors as well as point protectors, darning needle, needle gauge, and two sizes of stitch markers. Now made in the U.S.A.! Available in rose color. Love my Knit Kit. It is very convenient. Easy to find in knitting bag. I will be buying more as gifts. This handly little gadget is worth every penny! I keep it in my sock knitting bag, which travels everywhere with me and I'm never without just what I need. Love it! This is my most important knitting accessory. I literally use it every day, as it has everything I need in one handy place. A must for every knitter. A great addition to my knitting bag!